Look out Millionaire's Flapjack, Alli might have a new favorite recipe. 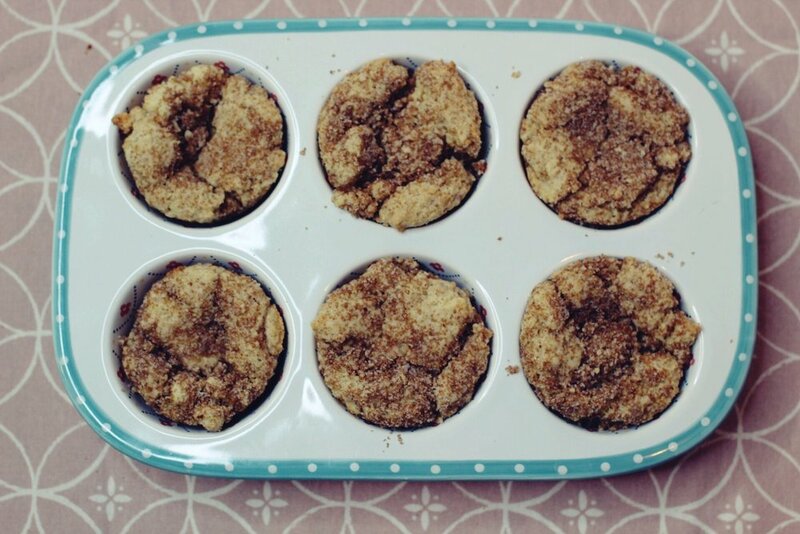 These Coffeecake Muffins were quick and relatively easy to make. Next time I make these, I'll try using gluten-free flour so I can have them on lazy Saturday mornings! Remove 1/2 cup of the flour mixture and add it to the brown sugar mixture. Stir with a fork until combined. This is your streusel. In a measuring cup, whisk the sour cream, egg and vanilla. The only tip or trick I need or want to share is that you NEED to rotate the pan during baking. My oven bakes slightly unevenly and I forgot to rotate the pan, so a couple of the muffins were underdone when I took them out of the tin. Otherwise, this recipe was pretty foolproof! These muffins tasted amazing! I highly recommend you giving this a try! The ingredients are simple and this recipe takes less than an hour, so it's perfect for an easy Saturday morning. If you give this a try, let me know in the comments below or use the hashtag #LetsDoughThis on Instagram and tag @TheLittlePinkBakery.